When I returned home from my recent trip to Iceland, the question/comment I received most was “The weather’s quite warm at this time of year, isn’t it?”. 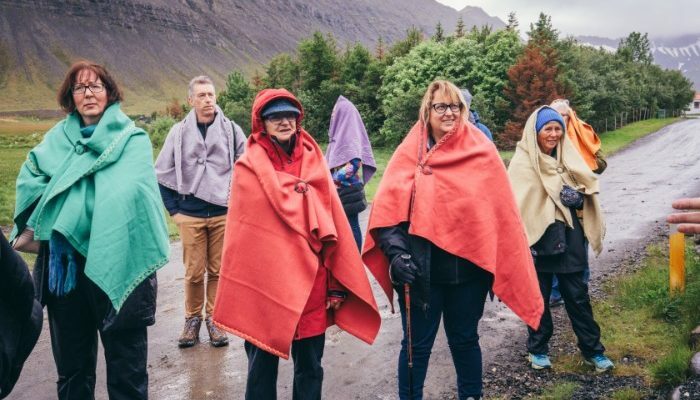 I’d heard rumours that Iceland can get quite warm, enjoying summer temperatures of around 20 degrees Celsius (in 1939, the mercury soared to a scorching 30 degrees), but when I was there in mid-July – the height of summer – most days were between 10 and 15 degrees. Winter, of course, is another story. The southern regions sit at around zero, however temperatures can get as low as -30 degrees Celsius in the north. But no one goes to Iceland for the warm summers. If anything, you almost want to experience the endless grey skies, the low-hanging orange sun peeking through the clouds, and the bone-shaking Arctic winds sweeping in from the north. But as quickly as an icy squall blows in, so too does an extended period of sunlight and blue sky. You may need to take off your jacket, and apply sunscreen to your face. You may even be tempted to strip down to a t-shirt. 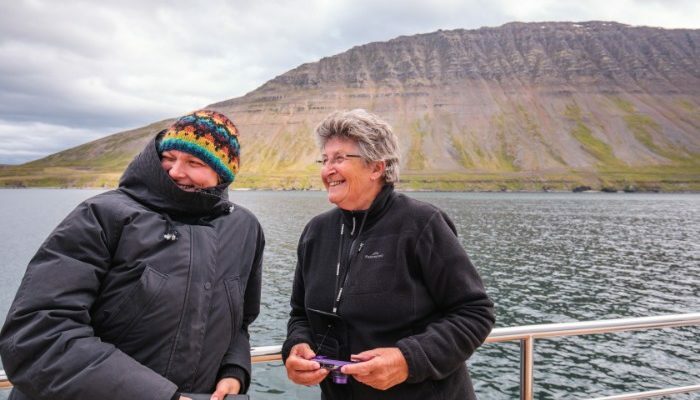 An unexpected burst of warmth on an Adventure Cruise in Iceland. Iceland is unpredictable, to say the least. So with this in mind, it’s important to be prepared. 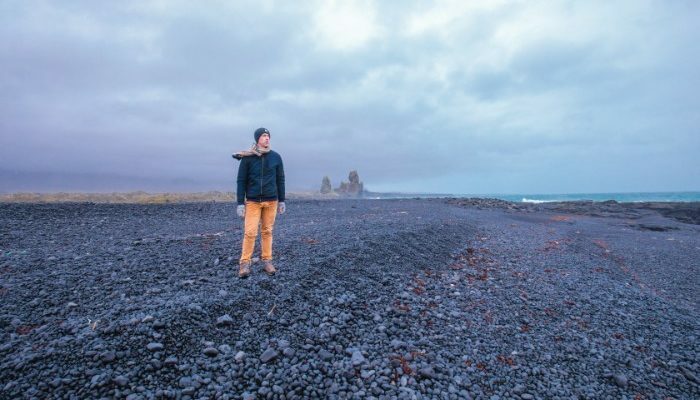 Here’s everything you’re likely to need on your upcoming Icelandic adventure – regardless of the time of year – without spending thousands of dollars on fancy clothes you’re unlikely to wear again. It’s ESSENTIAL that you’ve got good, warm base layers to keep yourself toasty, but that you can easily remove if you get too hot. Singlets, t-shirts, long-sleeved tops and a fleece-lined jumper or sweatshirt should all be at the top of your packing list. Thermal tights or leggings are also handy for wearing under jeans or chinos. 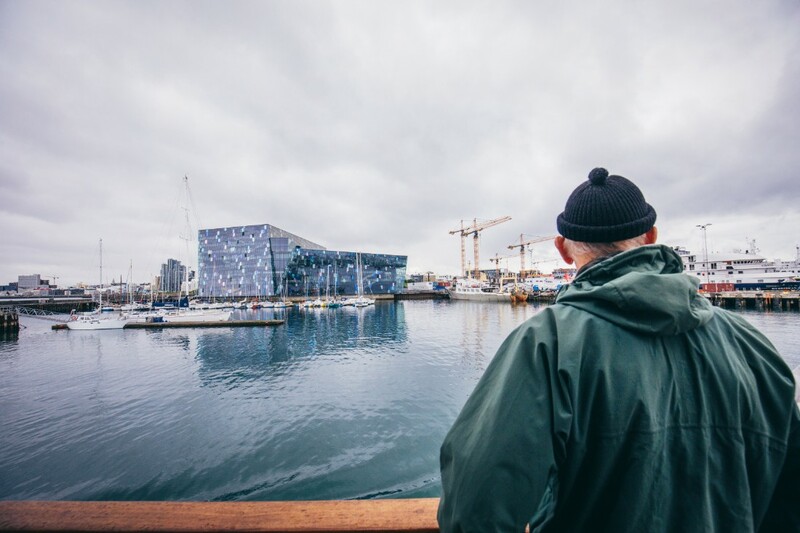 It’s almost guaranteed that it’ll rain on your Icelandic adventure, but don’t let that stop you from getting out and exploring. I got around in a cheap water-repellent puffer jacket – it kept me very warm on chillier days. Hats and waterproof jackets are essential. Did I mention the wind? It’s cold. Really cold. Even when the sun’s out. A light jacket will protect you against the cold and rain, and most pack down to nothing so won’t take up too much room in your luggage. If your primary jacket isn’t waterproof, you can throw this one on over the top. Is there any worse feeling than walking around all day in a pair of cold, wet jeans? Keep a pair of waterproof trousers in your daypack so you can throw them on over your pants if the weather turns. For obvious reasons. 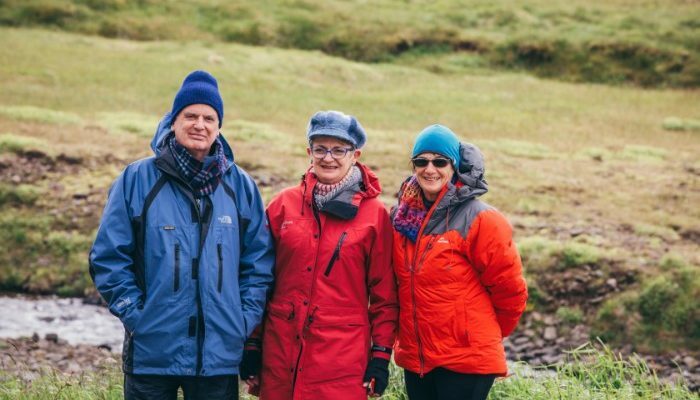 The wind can get very strong, so it’s a good idea to take a hat that fits low and snug on your head – you don’t want it go flying off with the puffins at the Latrabjarg Cliffs. Iceland is a hotbed of hot springs, and a town isn’t a town without a thermal bath. Soak your chilly bones in a hot pool at the end of a days exploring. It’s important to shower (minus your swimsuit) before you get into the pool to keep the water as clean as possible. A very, very cold day. Iceland has more scenic walks than you can poke a (hiking) stick at, so a good pair of shoes with good grip (either sneakers or hiking boots) is essential. If you’re travelling in winter, waterproof boots are essential. A pair of slip-on shoes, canvas sneakers, even a pair of flip flops, are useful for when you’re relaxing at your accommodation (I regretted not taking my slippers…). A chilly day on the water. Tap water in Iceland is delicious, and definitely drinkable. Avoid buying bottled water (it’ll cost you an arm and a leg, and it’s terrible for the environment) and fill up your bottle at your hotel or homestay before you head out each day. If you’re on an Adventure Cruise, filtered water is available to drink. If you’re travelling during the summer months, you’ll have the midnight sun to contend with. Most hotels (and Peregrine’s Adventure Cruising ships) have thick curtains you can draw to keep the light out, however some homestays and more rural accommodations do not. An eye mask will definitely aid in some extra shut eye. Travelling on an Adventure Cruise? Most of the cruising is done overnight, and you may hear a bit of engine noise while you’re trying to sleep. If you’re a light sleeper, or sharing a cabin with a snorer, ear plugs are definitely worth packing. 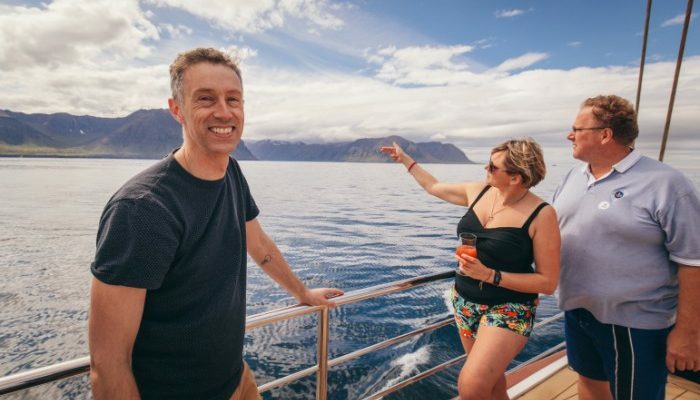 If you’re planning on hitting the high seas on your Iceland holiday, such as taking an Adventure Cruise or heading out on a whale-watching trip, seasick medication won’t go astray, even if you’re not prone to getting sick. While sailing in the fjords is usually quite calm, the open waters of the Atlantic can get very (very) rough. Talk to your GP about medication that’s right for you. Rugged up against the cold. You won’t need this in summer, but a torch will come in handy if you’re travelling in more rural areas during the winter months. Most hotel rooms in Iceland are on the small side. And if you’re on an Adventure Cruise, your cabin will be even smaller. Avoid any hard-topped luggage cases, and try to pack as lightly as possible. Aim to pack the bulk of your clothing and toiletries in a soft case or duffle bag that you can easily slide under the bed or keep in the cupboard. A small daypack or rucksack is essential for daily outings, for storing your wind jacket, water, camera, lunch and anything else you may need during the day. Now you’ve got your packing list sorted, you’re ready to book a trip! Check out our range of small group adventures and Adventure Cruises in Iceland now. All images by Damien Raggatt. When I'm not riding a camel into the desert, robot dancing in a weird Venezuelan bar or kayaking through dugong-filled waters in the Philippines, you'll find me writing about travel, reading about travel, and planning my next travelling escapade. I choose destinations based on how cute/terrifying the wildlife is and alpacas are my power animal.